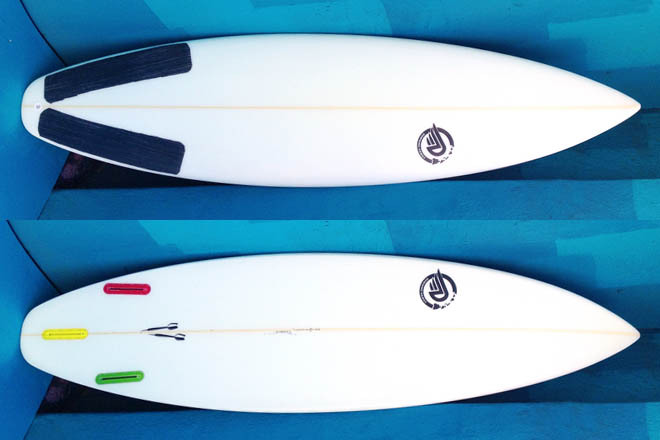 5’4 – 6'10 up to 19” 1⁄2 wide The Dart is our high performance board. 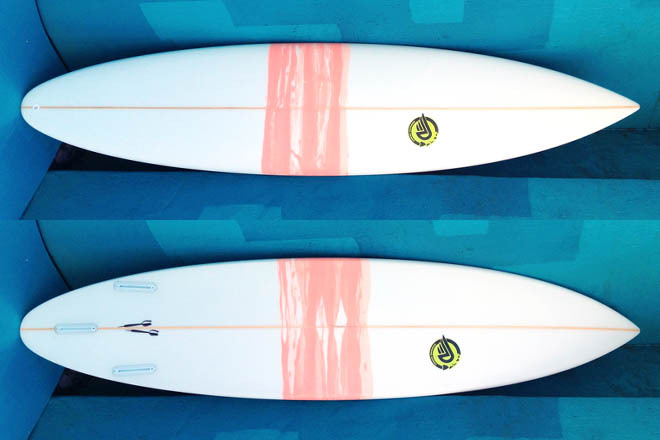 Its single spoon concave creates maximum drive for going vertical and boosting huge airs, with after burners for deep barrel riding. 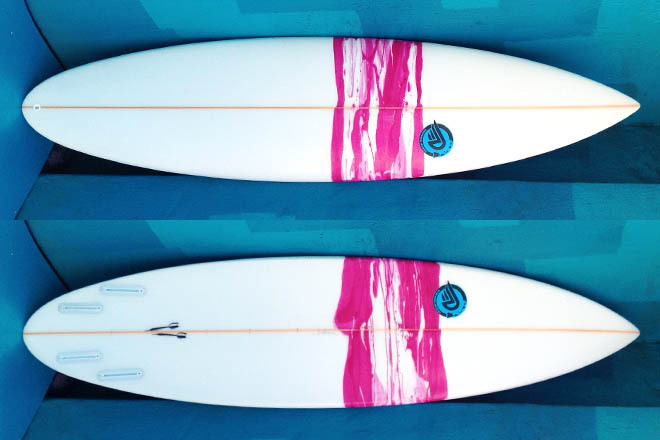 Depth of concave depends on the weight of the surfer. 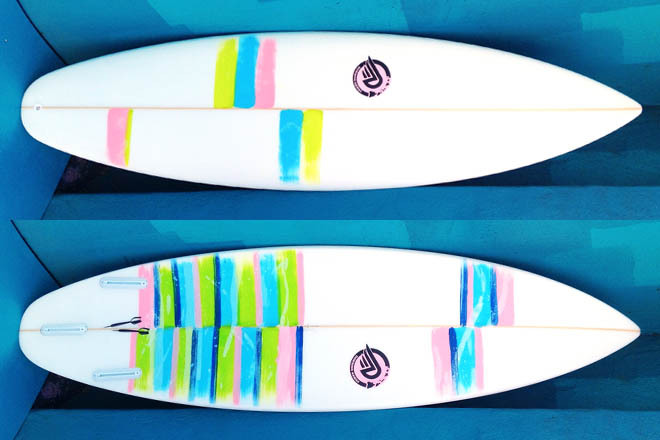 Wave heights: 2-8 ft Setup: Thruster or Quad Type of Wave: This board is at home at your best point breaks & beach breaks.